Some wanted a challenge, others were seeking a fresh start. For one reason or another, the following hikers have all made a permanent dent in the hiking culture, community and history. Meet the 14 most famous hikers. I would never have started this trip if I had known how tough it was, but I couldn't and wouldn't quit. 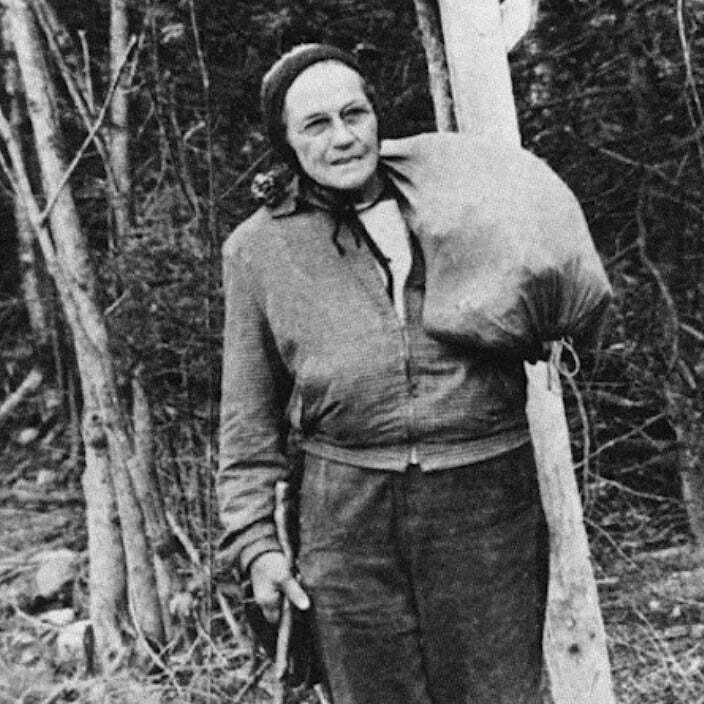 Emma Rowena Gatewood, aka Grandma Gatewood, was the first woman to solo hike the entire Appalachian Trail in one season. She completed the feat in 1955 at age of 67. Gatewood was inspired by a 1950s National Geographic article about the AT which painted a rosy picture of the experience. She told her adult children that she was going for a walk and started the thru-hike wearing a simple pair of Keds sneakers, and carrying nothing but a blanket, a raincoat and a plastic sheet inside a homemade denim bag. News of her journey spread and she was featured by the Associated Press and Sports Illustrated. She hiked the AT a total of three times and also covered the 2,000 mile Oregon Trail before she passed at age 85, in 1973. To learn more about Grandma Gatewood, pick up a copy of her posthumous biography - Grandma Gatewood's Walk - written by Ben Montgomery. 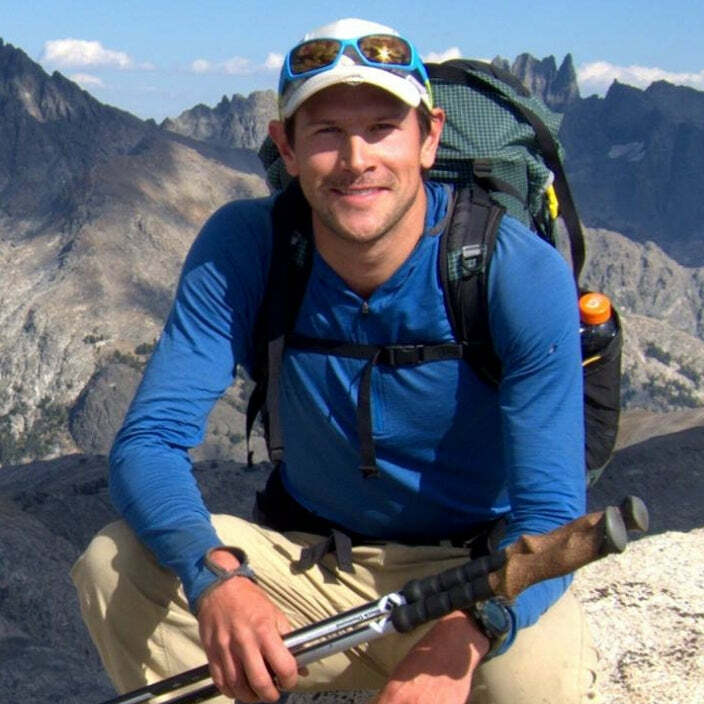 Winner of National Geographic Adventure's 2007 "Adventurer of the Year," Andrew Skurka is one of the world’s foremost authorities on ultralight, ultra-long distance hiking. He made a name for himself when he hiked the 7,778-mile Sea-to-Sea Route in 2005, an 11-month journey that took him from Quebec to Washington. In 2017, Skurka followed this epic adventure with the 6,875-mile Great Western Loop that traverses five long-distance hiking trails through 12 National Parks and more than 75 wilderness areas. He completed this loop in 208 days at a record-breaking pace of 33 miles per day. Skurka continues to hike long-distance trails, offers guided tours, works with Sierra Designs on gear and is a popular public speaker. You can follow Andrew Skurka on Twitter @andrewskurka. I felt really proud of what I did and also what my family did. Then, the first thing I wanted to do was eat at a Chinese buffet in town. Christian Thomas, aka Buddy Backpacker, is one of the youngest people to hike the Triple Crown (Appalachian Trail, Pacific Crest Trail, and Continental Divide Trail). 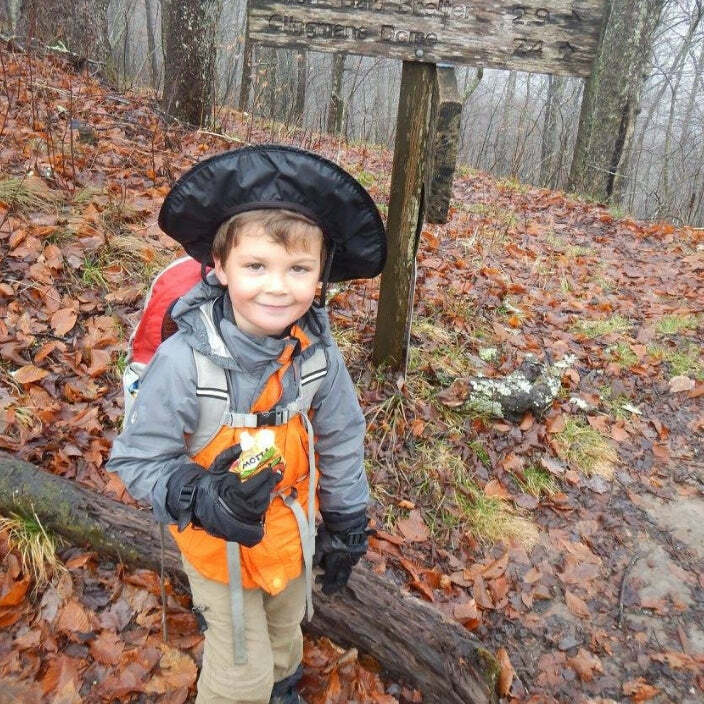 Buddy completed his first thru-hike at age 5 when he covered the entire length of the Appalachian Trail hiking with his step-dad and getting support from his mother. Two years later, Buddy was on the trail again conquering the Pacific Crest Trail along with his parents. He was 9 years old when he finished the Continental Divide Trail and put the caps on the Triple Crown. Buddy is currently taking a break from hiking, but you can retrace his many steps by checking out his blog at buddybackpacker.com. The beautiful thing about long trails and the mountains is that they are what you need them to be, even if you don’t know what you need them to be. 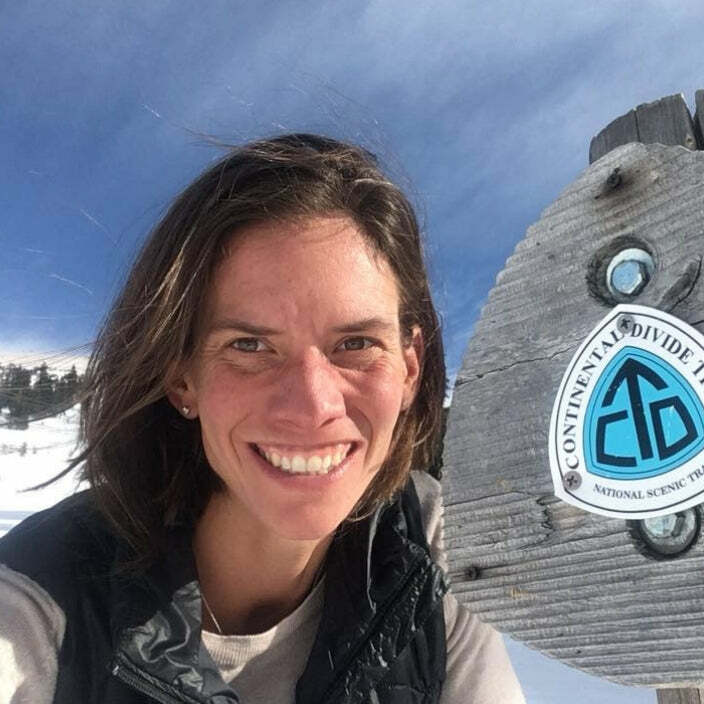 Heather Anderson, known on the trail as Anish, is one of the top female hikers and among the fastest long-distance hikers to set foot on the trail. She has set the self-supported fastest known time (FKT) for the Appalachian Trail, the Pacific Crest Trail, and the Arizona Trail and has held both the AT and the PCT records at the same time. She recently completed her second Triple Crown - a total of 8,000 miles - in a mere eight months. 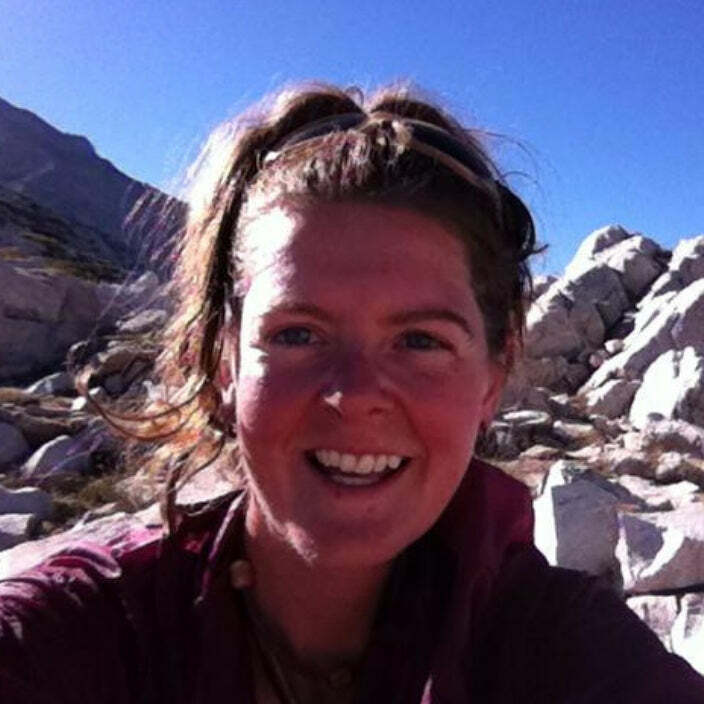 She is the sixth person and the first woman to finish the thru-hike in a single calendar year. Find out what Heather's up to by following her on Facebook. Every twenty minutes on the Appalachian Trail, Katz and I walked farther than the average American walks in a week. 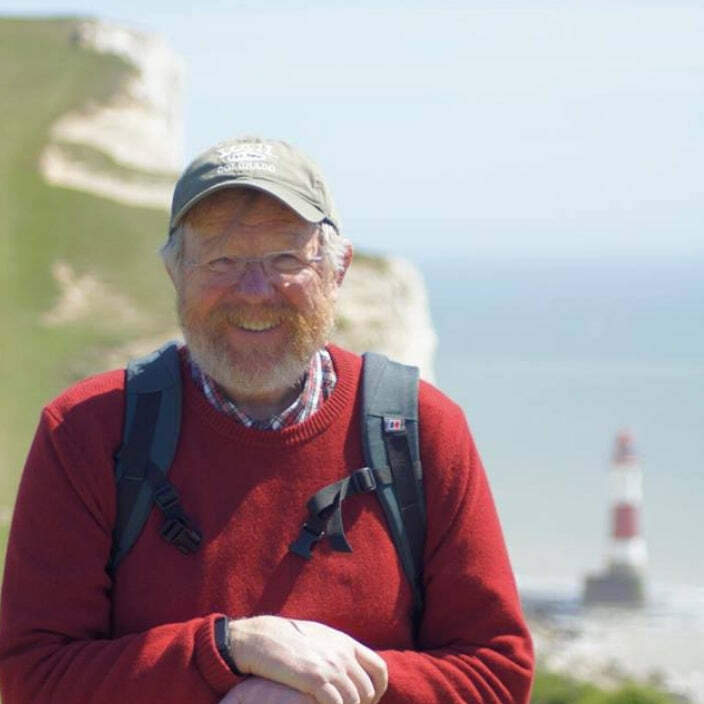 British-American writer Bill Bryson has traveled the world writing about his life and adventures with a distinct humorous touch and conversational tone. While he was visiting the United States, Bryson decided to hike the Appalachian Trail with his friend Stephen Katz, an overweight, struggling alcoholic. Bill Bryson retraced their chaotic 800-mile journey in his book A Walk in the Woods, published in 1998. The book was eventually adapted into a comedy film starring Robert Redford and Nick Nolte in the roles of Bryson and Katz. I'm not on vacation. I'm not out for a weekend. This is where I live. When you do that, all the other trappings of life fade away. George "Billy Goat" Woodard has been on the trail since 1988, logging over 48,000 miles to date. Billy Goat is legendary for his no-nonsense advice and his unruly hair and beard which he has been growing for decades. 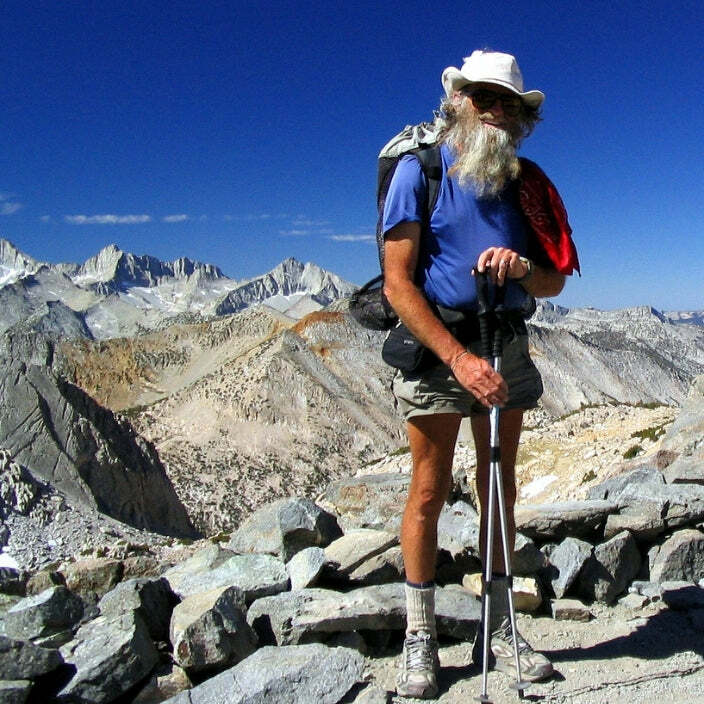 He's spent more than 12 years hiking the PCT and is a recognizable figure on the trail. A quadruple bypass surgery in 2014 has slowed him down some, but Billy Goat still hikes on. In my opinion, the more fast-paced and overstimulated the world becomes, the more important it will be to take a walk in the woods. Jennifer Pharr Davis is a long-distance hiker who has set a string of fastest known times for multiple trails in the past decade. Pharr Davis completed her first thru-hike of the Appalachian Trail in 2005 and wrote about the journey in her book Becoming Odyssa. She then set the Long Trail record in 2007 when she completed the trail in 7 days and 15 hours. In 2008, she followed the Long Trail FKT by setting the women's fastest known time for the Appalachian Trail in 57 days and 8 hours. Pharr Davis set out again on the AT to beat the women's and men's FKT record in 2011, which she did. She hiked the full length of the AT in only 46 days, 11 hours and 20 minutes. Following this record, Pharr Davis was nominated as one of National Geographic's Adventurers of the Year in 2012 and wrote a memoir entitled Called Again about her record-breaking hike. She held the AT FKT for four years before Scott Jurek broke it in 2015. Jennifer is most active on Facebook and Instagram. Follow her to find out what challenge she is planning to take on next. I'm mighty, mighty glad it's over. If I had another week I would fall on my face. Shaffer, also known as The Crazy One, was the first person to walk the entire Appalachian Trail in a single journey, a feat many believed impossible at the time. He wrote the details of his 1948 odyssey in a journal that is today displayed in the Smithsonian’s National Museum of American History. He also published a memoir of his experience in the book Walking With Spring. 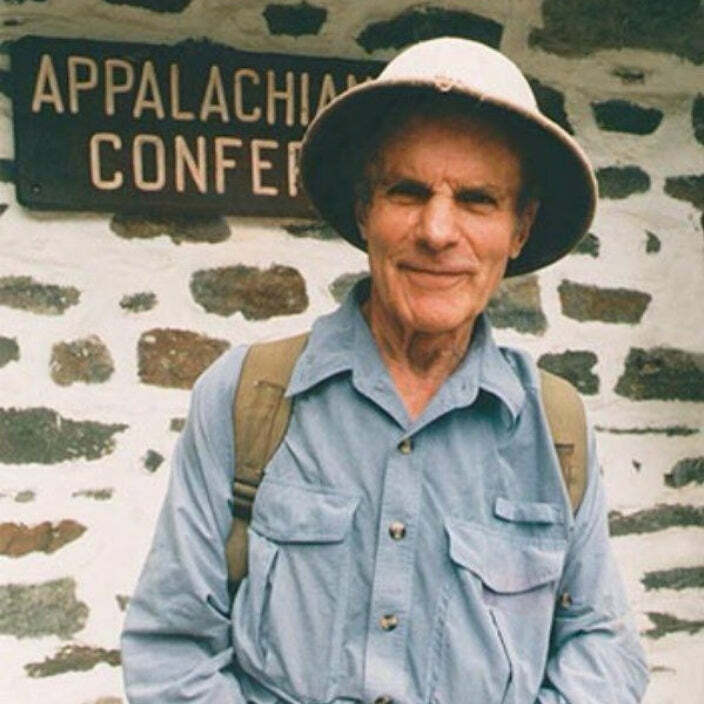 Shaffer hit the trail again in 1965, hiking southbound from Maine to Georgia, becoming the first person to walk the AT in both directions. He hiked the AT for a third and last time in 1998, 50 years after his first thru-hike. 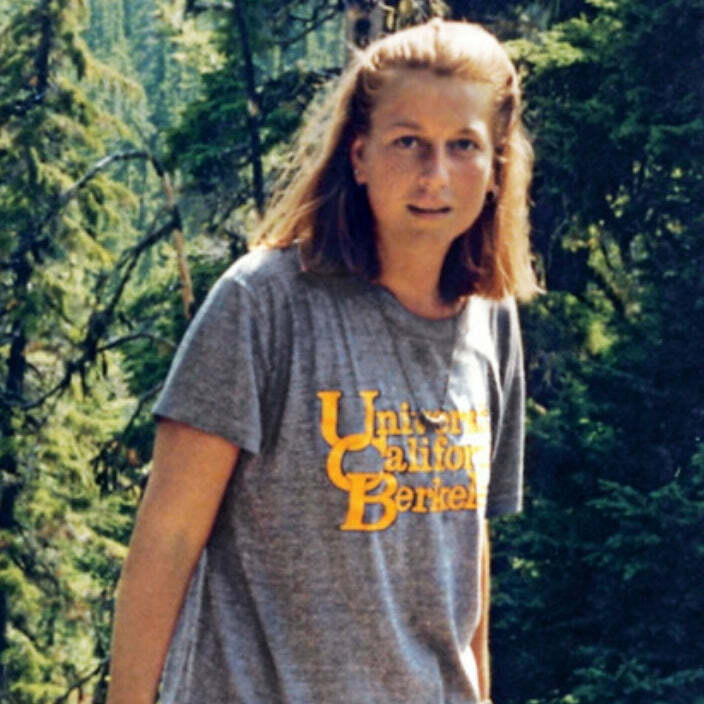 Author Cheryl Strayed has inspired thousands of people to pack up their bags and hit the trail to find peace in their lives through her memoir, Wild: From Lost to Found on the Pacific Crest Trail. Strayed was an admitted mess when she left her life behind to hike the Pacific Crest Trail in 1995. Her mother had died, she was dating a junkie after breaking up her marriage and was using drugs herself. Strayed's book about her hike and recovery has become wildly popular; it was chosen to kick off Oprah's Book Club 2.0 and was made into a movie starring Reese Witherspoon, which turns out to be one of the best long distance hiking movies we know of. The Trail was a pilgrimage to share God's love with all those whom I met while hiking. Bill Irwin was the first blind person to hike the entire Appalachian Trail. He set out with his guide dog Orient on a journey many considered to be crazy. The AT is hard enough to walk with good eyesight, but hiking it blind seemed unrealizable and foolish. Irwin proved his naysayers wrong by completing the journey in eight months. By the end of the trip, Irwin had fallen so much that he wore shin guards to protect his legs from the inevitable knee-crushing stumbles. Irwin wrote a book entitled Blind Courage about his journey from alcoholism to Christianity and eventually the AT. The book is in the process of being adapted for the screen. Without Benton MacKaye, there would be no Appalachian Trail. A Harvard trained forester, MacKaye spent his life studying the outdoors and advocating for its conservation. 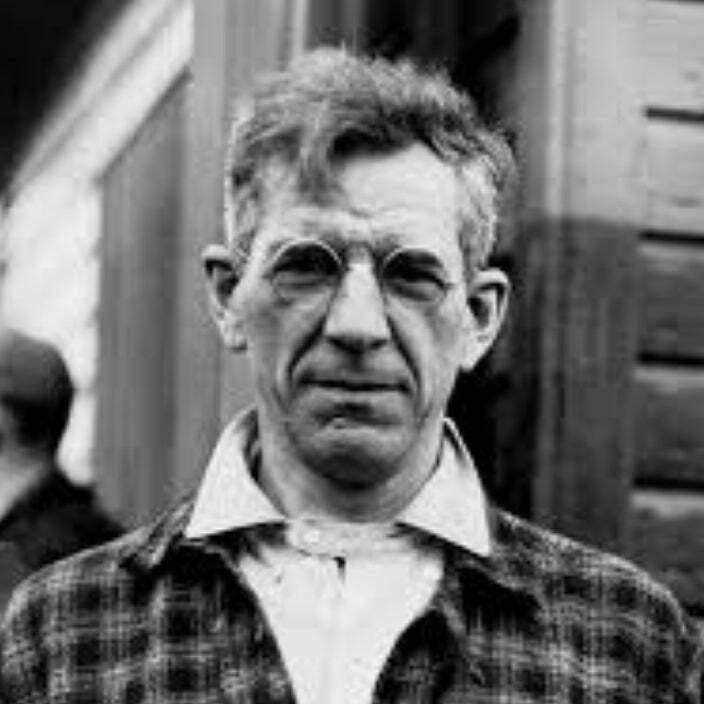 In 1921, he came up with the idea for a utopic hiking path along the ridgelines of the Appalachian mountains. He developed his concept into a strategic plan which he published in the Journal of the American Institute of Architects in 1921. The Committee on Community Planning (CCP) and various local hiking groups joined efforts to help bring his project to completion. This union led to the creation of the Appalachian Trail Conference, now known as the Appalachian Trail Conservancy. The organization still oversees the stewardship of the trail today. John Muir is arguably one of the best-known naturalists and conservationists of the 20th century. Born in Scotland in 1838, Muir's family immigrated to the United States in 1849, settling in Wisconsin. From his youth, Muir was prone to wandering and exploration. He eventually settled in San Francisco and fell in love with the Sierra Nevadas. 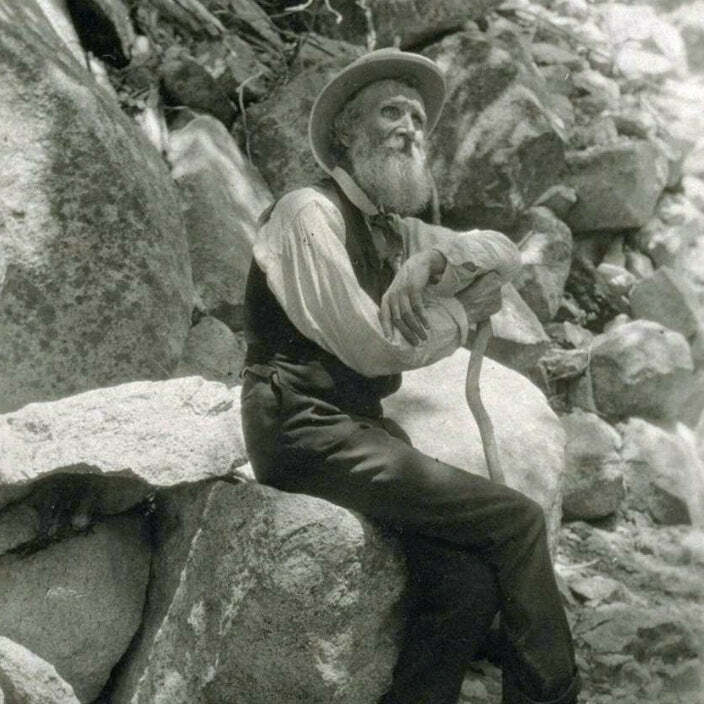 Muir helped establish Yosemite National Park and co-founded the Sierra Club. His journal writings from the time he spent in the Sierras are famous for their vivid details and inspiring prose about the natural world. 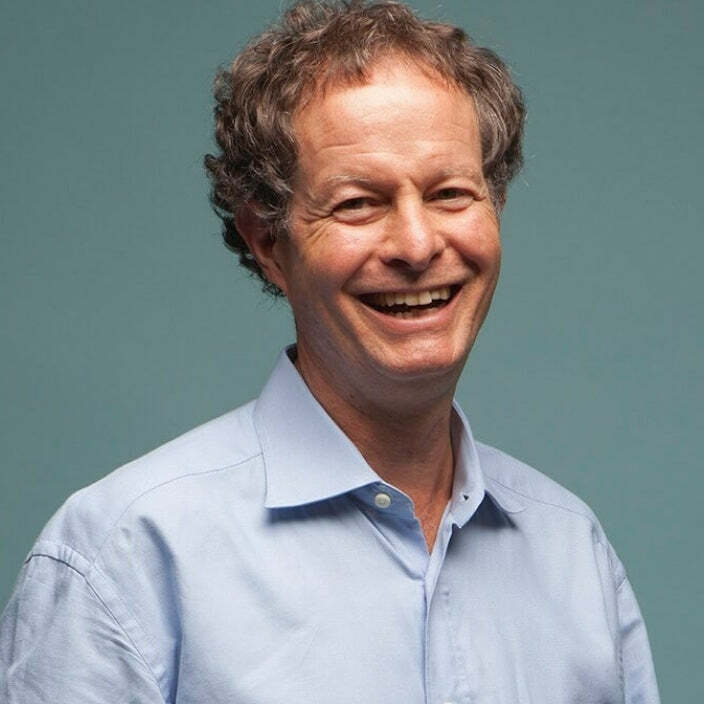 John Mackey is best known as the co-founder and CEO of Whole Foods. But, the successful businessman is also an ultralight thru-hiker. In 2002, during the height of the recession, Mackey took a break from his CEO duties to pursue a life-long dream of hiking the Appalachian Trail. 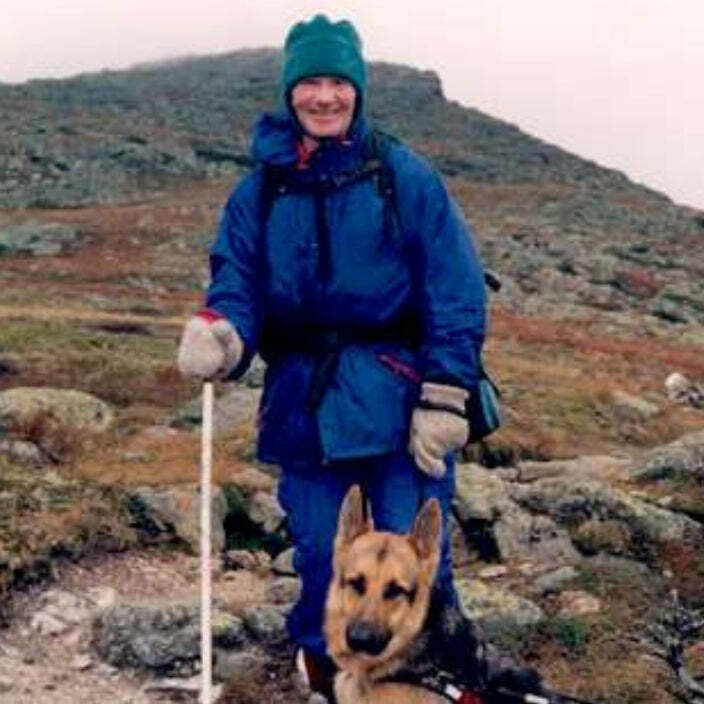 To this day, Mackey remains an avid long-distance hiker and has walked the AT twice. If I don’t fall down or fall ill, I’m going to do it. That’s the one thing about me – when I set my mind to something, I’m going to see it through. 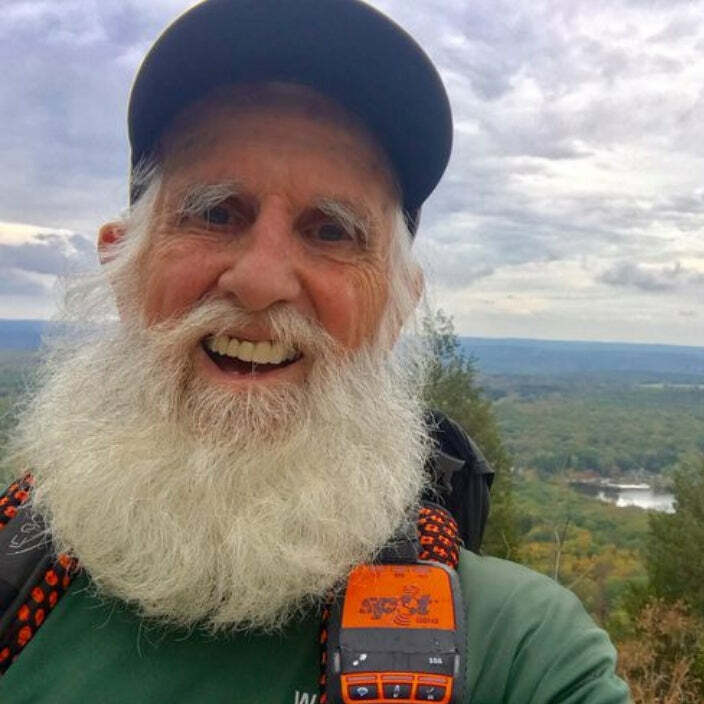 Dale "Greybeard" Sanders is the oldest person to hike the Appalachian Trail. He completed the 2,190-mile trek on October 26, 2017, at the age of 82. Sanders started his journey in January 2017 when he hiked a short section of the trail in Georgia. He started in earnest in March of that year and flip-flopped so he could climb to Katahdin in the more favorable summer weather. Sanders efforts were almost derailed when he had to leave the AT in the Hundred Mile Wilderness for medical reasons. Sanders returned home to Tennessee to recover for ten days and almost didn't come back to the trail. The oldest AT hiker isn't the only record Sanders holds. He's also the oldest person ever to paddle the entire 2,300 miles of the Mississippi River. Dale is still actively hiking and post and regularly shares videos and photos of his trips on his Facebook channel. Who did we miss? Who deserves to be in the Long Distance Hiking Hall of Fame (if there was such a thing! )?